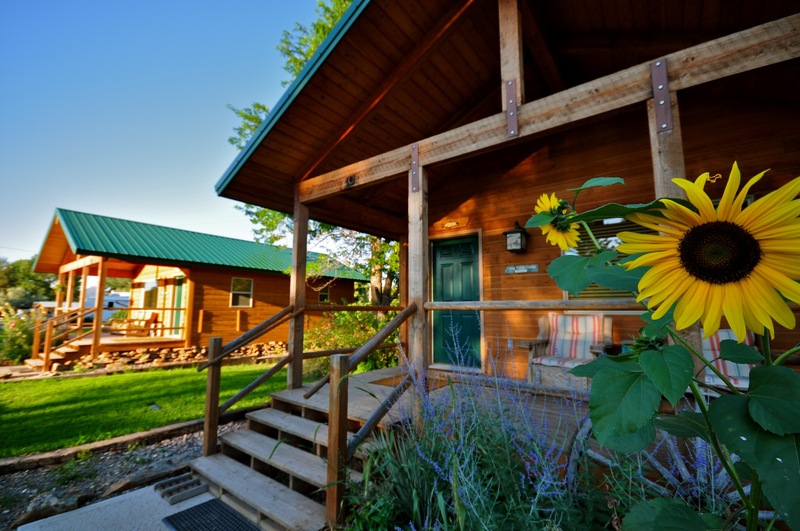 Headhunters offers a wide variety of lodging options for anglers visiting the Missouri River, including our own Craig Trout Camp, some of the most popular digs on the river. Whether you need a simple room for 2, or a large house for a group of 10, we can get you set up with the best options in the Canyon. Our staff is more than familiar with all of our lodging options, and can answer any question you have, as well as make the right recommendation for your group. For a detailed list of all of our lodging options, check out our lodging website at www.craiglodging.com. Operated by Headhunters, the Craig Trout Camp provides Missouri River Montana Lodging for anglers from all over the world. Comprised of 7 cabins. The 3 new Cabins BWO, PMD, and TRICO each sleep two and are the freshest cabins in Craig! The Trout Camp is located adjacent to Headhunters Fly Shop and right in Craig. You are within walking distance to everything – Headhunters, Izaak’s Restaurant, “Joe’s” Craig Bar, Papa’s and even the river if you want to go make a cast or two before you go to bed. All of our cabins have large flat screen TV’s with satellite service, AC, daily housekeeping, and outside deck areas. These are the most popular options on the river, and must be reserved far in advance during peak seasons. “The Canyon” refers to any location along the river between Craig and Cascade. The scenery in the Canyon is great. Cell service and WiFi are non-existent at most Canyon locations, however. We have several lodging options in the Canyon, including the Osprey House, Stickney House, the Reel Time Cabin, Jumping Rainbow and others. The place to stay if you’re fishing the Missouri River, but not if you seek solitude. Craig is a bustling place, with the most popular drinking and dining establishments on the river, as well as 3 fly shops and one of the busiest boat ramps in Montana. When you stay in Craig, you park your car and leave it. Everything is a short walk… meet your guide, go to dinner, pick up some flies or a new rod at Headhunters! The small town of Cascade lies 20 miles north of Craig on I-15. Cascade is the take-out for the lowest float on the river. While it’s usually a back-up option for those booking at the last minute, it is a good place to center your fishing for a few weeks each year. You can find a couple of small hotels, groceries, local drinking and eating joints, a post office and gasoline. There is cell phone service in Cascade.